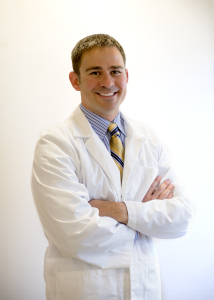 Jeremy D. Manwaring, D.M.D., M.S. Dentistry has undergone many changes during the past quarter century, however, no changes have been more profound than those in the field of periodontology and implants. Dr. Manwaring is excited to be at the forefront of this exciting profession. After attending Northwestern University Dental School in Chicago and completing his three-year periodontal residency along with obtaining a Masters of Science degree at Tufts University in Boston, Dr. Manwaring enjoys practicing with Dr. McKeown amongst the majestic Rocky Mountains. As a diplomate of the American Board of Periodontology, Dr. Manwaring strives to provide the highest quality of care along with the tremendous staff of Redwood Periodontics. Dr. Manwaring and his family thoroughly enjoy the outdoors and all the recreational activities of our great state. He grew up in Park City, learned how to speak Spanish in Argentina, and loves skiing with his kids. Call us today at (801) 293-8833 to learn more or schedule an appointment.